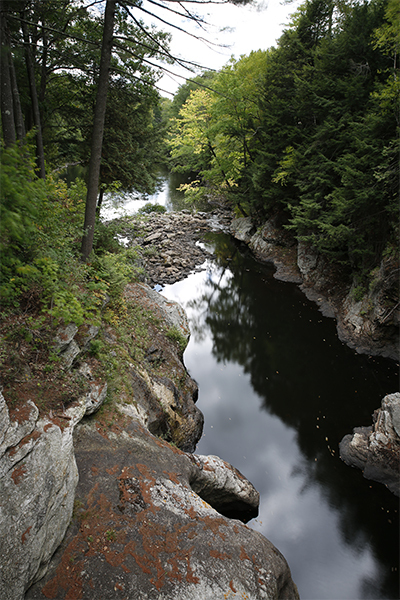 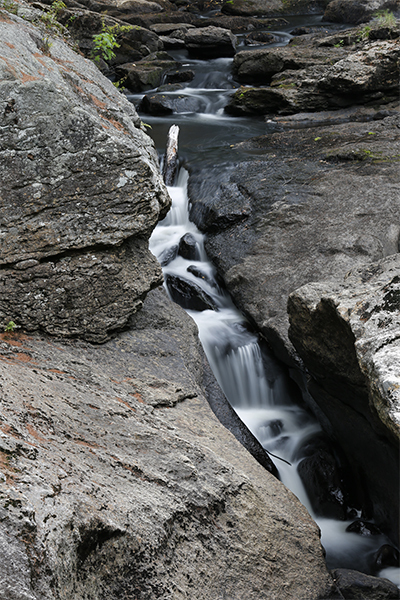 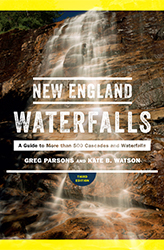 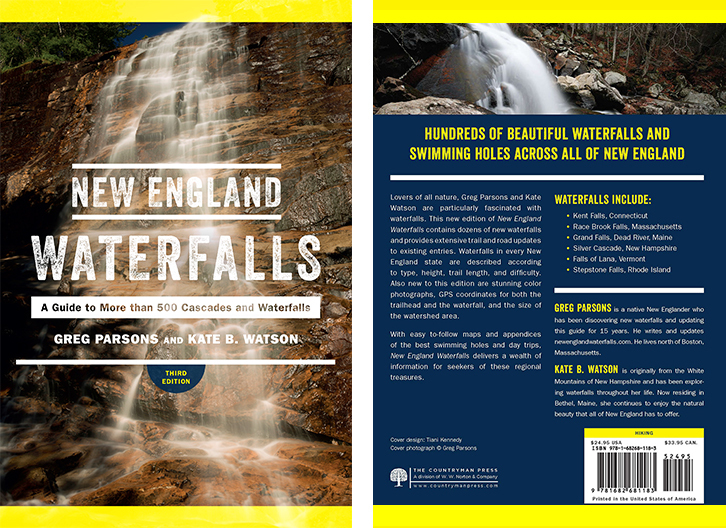 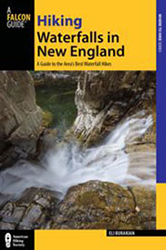 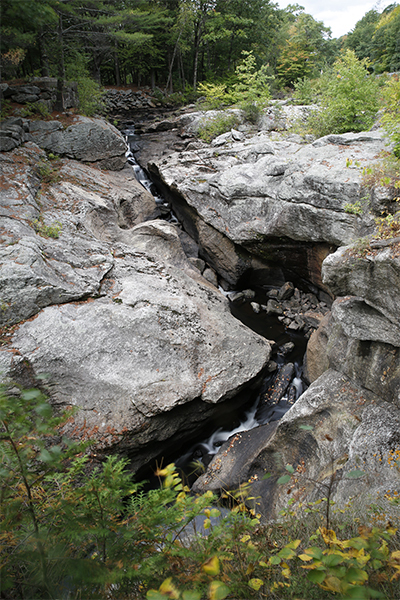 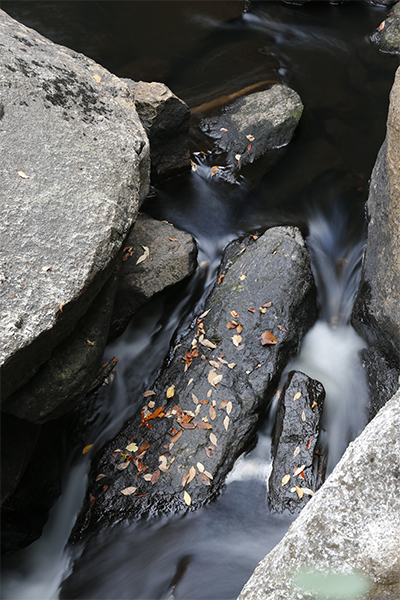 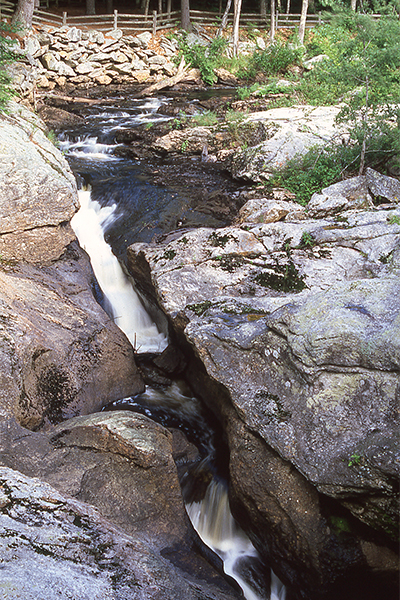 The Little Androscoggin River cuts its way through a narrow and winding gorge at Snow Falls in West Paris. 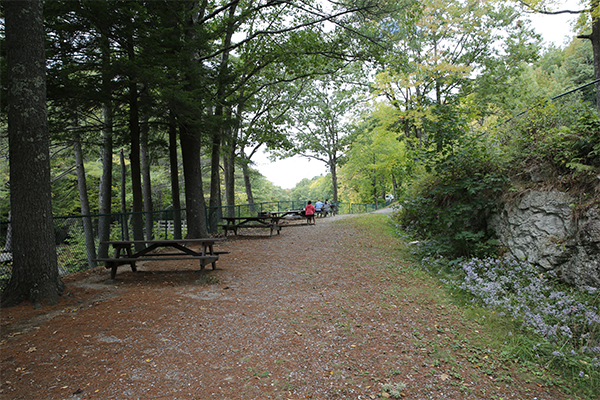 At this special rest-stop, the state of Maine has constructed a fine picnic area, complete with trails on both sides of the gorge, picnic tables, a pit toilet, and plenty of parking. 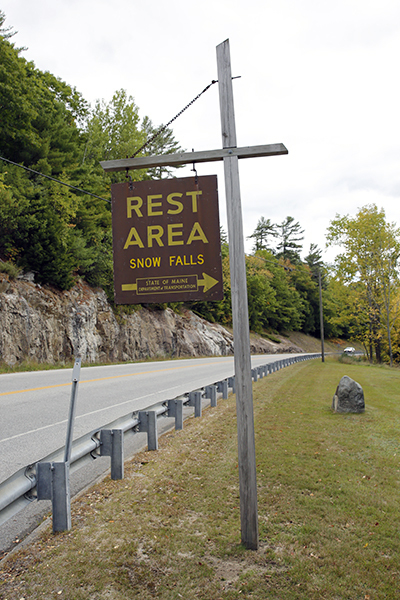 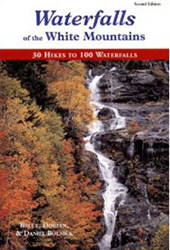 This site is also known as Snow Falls Gorge. 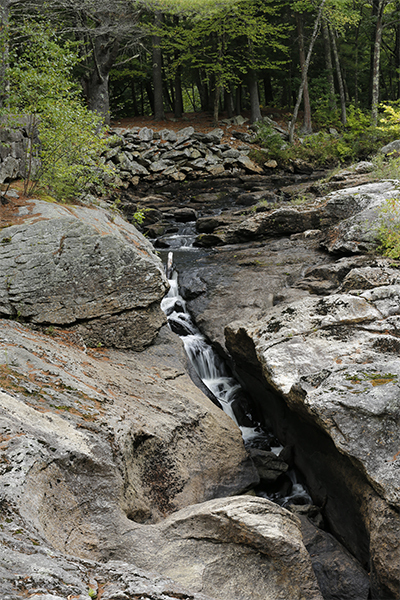 There are four distinctive cascade sets at Snow Falls, with the last being a personal favorite. 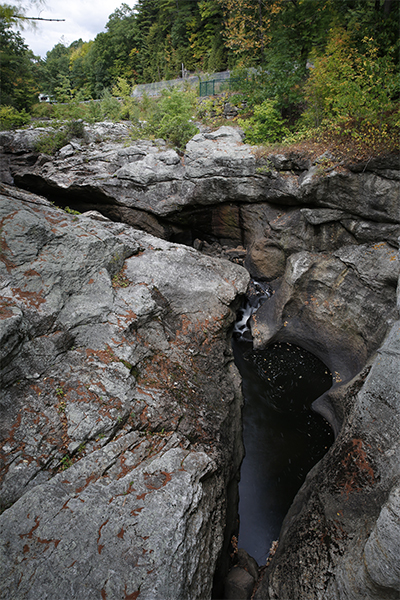 It is a thin plunge flowing into a dark pool just below the footbridge over the river. 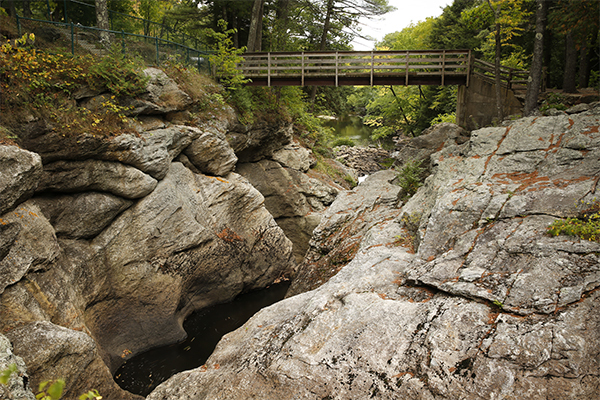 The gorge, with walls up to 30 feet in height, is surrounded by fencing, making this place family friendly and safe for the little ones. 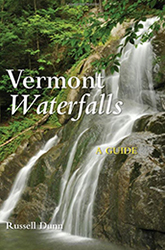 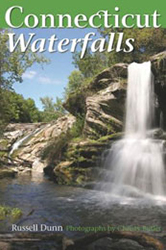 The water may be sometimes dark and slightly foamy, but the gorge is interesting and beautiful, and the falls are right off the road, so include a visit to Snow Falls if you are passing by.